Shirdi Sansthan Dwarawati Bhaktiniwas Online Room Booking is also available online. Devotees can book accommodation in Dwarawati well in advance. Devotees can now log on to the internet and avail Dwarawati accommodation online. Dwarawati was built in the year 2008. It has 334 rooms. There are dormitories and large rooms also to accommodate small groups or families of six to 10 people. Out of 334 rooms, 80 are AC rooms. Dwarawati is very close to the bus stand in Shirdi. It takes only two minutes to reach Dwarawati from the Bus stand. Devotee can call Help desk (02423-258956,258963,259182), Voice support will be available from 10 am to 06 pm (IST). Other than this time slot mail to =======support@sai.org.in) . Devotee can check in, any time before two hours of specified check out time. Standard Check In and Check Out Time 11:00 AM. Dwarawati complex also offers the devotees parking place, 24 hours water supply, electricity supply (with full capacity generator back up) & security. Shirdi Sai Sansthan takes care of Devotees by providing accommodation at fair and affordable price. There is wide range of rooms available at Dwarawati. There are very basic rooms available at Rs 50 per day. This room can accommodate up to 4 people. AC suites are also available at Rs 900 per day. Dwarawati accommodation online booking can be done at online.sai.org.in. Types of rooms available at Dwarawati online room booking. 1. A/C Western – This is an A/C room with 3 beds. It comes with attached western style bathroom. It can accommodate a minimum of 3 and a maximum of 5 people. This room is available at Rs 900 per day. The rent charged for an extra person is Rs 50. Sansthan also provides floor mattress for extra person. 2. Non-A/C- Western – This is Non-A/C room with 3 corts. It comes with attached western style bathroom. It can accommodate a minimum of 3 and a maximum of 5 people. This room is available at Rs 500 per day. The rent charged for an extra person is Rs 50. Sansthan also provides floor mattress for extra person. 3. Non-A/C – Indian – This is Non-A/C room with 3 corts. It comes with attached Indian style bathroom. It can accommodate a minimum of 3 and a maximum of 5 people. This room is available at Rs 500 per day. The rent charged for an extra person is Rs 50. Sansthan also provides floor mattress for extra person. 1. 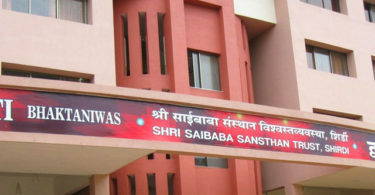 Devotees need to register and login at online.sai.org.in, to book accommodation in Dwarawati. 2. Any Visa/Master/Maestro card can be used to make online payment. 3. Net banking is available only on HDFC payment gateway. 4. Online payments are secure as a 128 – bit encryption is used. 5. There will be “no refund” in case of cancellation. 6. Devotees need to bring ID proof along. They will need to produce ID proof at the time of availing the accommodation. If you have any query on Dwarawati Bhaktiniwas Room Booking, please leave your comment below, we will get back to you at the earliest. साई संस्थान ट्रस्ट द्वारा प्रदान किए गए किसी भी शिरडी आवास में 24 अगस्त 2017 को कमरे उपलब्ध नहीं हैं! द्वारवती साई आश्रम माई रूम्स की बुकिंग दो महीने पहले संभव है, उदाहरण के लिए, आज से 8 वें नवम्बर तक कमरे बुक कर सकते हैं. 29 Oct ki room book Ho sakta hai Kya? Yes sir 29 Oct ko DWARAWATI main room available hai. Ganesh ji aap room online book kar sakte hain Shri Saibaba Sansthan Trust ki website se. Hame 1 aur 2novambar ko 2 room chahiye mil sakta hai kya aur mo. Se booking ho sakta hai kya. Yes kamlesh ji 1 aur 2 Nov ko shirdi sai trust ke rooms available hain. Aap Shirdi Sai Trust ke official website se room book kar sakte hain. 1 aur 2 nov ke liye AC aur Non AC rooms available hai. Aap apne mobile se bhi room book kar sakte hain. No booking can be done for 9th Jan 2018. At present online shirdi accommodation can be done till 12th dec 2017. You can check for booking after couple of weeks. We want booking at dwarawati bhaktiniwas 2 rooms on 14 Dec @12:00pm. To 16 dec 11am. We have 6 adults and 2 children, 7years & 19 months male . The rooms booking in dwarawati bhaktaniwas is not available for date 24 Oct 2017. The rooms are not available till 28th Oct 2017. You can book rooms at dwarawati bhaktaniwas from 29th Oct 2017. We 12 persons (5 Male & 7 female) coming to Shirdi on 10th Nov,2017 for Baba’s Darshan. Suitable accommodation with western type toilet available or not at Dwarkawati Bhakti Niwas. We have checked Shirdi accommodation at Dwarawati Bhakti Niwas for 10th November 2017, rooms are available for those dates, However, due to limited capacity of western type toilet rooms, you may have to book twice with different ID for these rooms, with one ID you can book maximum of 10 people. Please refer to snapshot for the reference. Hope this helps, Do let us know if you need any further info. We 12 persons (5 Male & 7 female) visiting Shirdi for Baba’s Darshan on 10th Nov,2017. Accommodation available or not ? yes both ac and non ac rooms are available at SAIASHRAM BHAKTINIWAS & SAI BHAKTA NIWAS. on Nov 10th. I want to book a Non AC western room to accommodate 5 persons .4 + 1(extra bed) for 17/11 2017,night. (Train reaches Shirdi station at 10.45pm. And Checkout at 5pm on18.11.2017. Kindly advise by return mail about accomodation,procedure and amount to be paid immediately. On 17th Nov Non AC rooms are available at DWARAWATI, SAIASHRAM BHAKTINIWAS and SAI BHAKTA NIWAS. Sir you can book sai sansthan room booking online from Official Website . The Standard Check in Time is 11 am and check out time is 11 am of next day. For check in and Check out time you have to call the Sai trust helpline number. No rooms available on 31st Dec 2017 . You can select any other date for accommodation in Shri Saibaba Sansthan Trust. 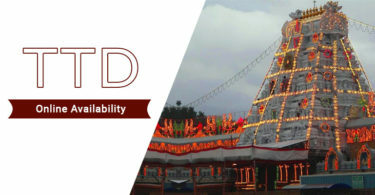 No Rooms available on 31st Dec. All accommodations in Shri Saibaba Sansthan Trust are fully booked. You can choose any other date for Sai Sansthan Room Booking. I want to know whether non/ac western room is available from 23rd December to 26th December. Please let me know asap. No rooms available from 23rd Dec 2017 to 26th Dec. You can select any other date for accommodation in Shri Saibaba Sansthan Trust. I want to know whether non/ac western room is available from 23rd December to 26th December at Dwaravati. Please let me know asap. No AC or NON AC rooms are available on 23rd , 24th and 26th December at Dwarawati. Only on 25th Dec AC rooms are available at SAIASHRAM BHAKTINIWAS. I need to book two rooms for the dates 21st to 23rd december. The site online.sai.org is not getting opened. Is there any other way out to book the rooms. Due to very high load sometimes the website online.sai.org not get opened. Madam, No rooms available from 21st to 23rd Dec 2017. You can select any other date for accommodation in Shri Saibaba Sansthan Trust. Rooms can only booked through online mode. Agar aap koi fixed date batate ki 2018 main kis month aur date main apko rooms chahiye to hume batane main assani hoti. Kya koi room 23.12.2017 ko booking ke liye available hai. 23.12.2017 ko Shirdi Sai Sansthan main koi bhi room khali nahi hai. Booking ke liye aur koi date kijiye. Agar koi aur help chahiye to bataiyega. Booking is not available for the selected date on 26th Dec 2017. You can select any other date for accommodation in Shri Saibaba Sansthan Trust. Rooms can only booked through online mode. In Case any more help please let me know. I want 23 dec to 24 dec 2017 two ac rooms . No rooms available on 23rd Dec & 24th Dec. Sir, you can choose any other date for accommodation in Shri Saibaba Sansthan Trust. Rooms can only booked through online mode. sir I haven’t come to shirdi for three years.I used to come every year with my kids Shivoy and Saiyanshi and my husband.Plz sir I am trying to get room booked in Dwarawati but rooms are filled.plz help me to get room booked in 31 Dec 17.and 1st Jan 18.I feel there spirituality. There might be some technical issue while booking rooms at Dwarawati . There are rooms available after 31st Jan 2018. Sir we want 1 room at dwarkavati bhakt niwas for 3 adults on 18 February 2018 to 22 February 2018. 26th Jan ko Sai Sansthan Trust main koi bhi room khali nahi hai. Rooms 27th Jan ko Khali hai. Agar aur koi help chahiye to krupa bataiyega. Dwarawati bhakti niwas mein 7-2-18 se 9-2-18 tak 4 persons adult ke liye western toilet wale 2 rooms chahiye. Bharat ji abhi Dwaravati Bhakti Niwas main april month ki booking shuru nahi hui hai. Aap hume aur thode dino ke baad pooch sakte hai ya Sai Trust ke official website main check kar skate hain. No non ac western rooms are available from 22nd April to 24 April 2018. You can book Non AC Western rooms available on 25th Feb at Dwarawati Bhaktiniwas. Also share me the number of persons and number of days you want to stay so that i can guide you properly. 30&31March(two days)ke liye 01 Room 03 Person ke liye booking ho sakati hai kya. Yes are rooms avaibale for 3 persons on 30th & 31st March 2018. Non AC rooms are available at Saiashram Bhaktiniwas, Sai Bhakta Niwas . You can book rooms online from Sai Trust official Website. sir,Dwarawati Baktaniwas may 30 & 31 mach 2018 ( Two Days ) 03 Person ke liye Non AC Room mil sakata hai kya. Sir 12 aur 13th June ko Shirdi Sai Sansthan ke Dwarawati, Sai Ashram Bhakthiniwas aur Sai Bhakta Niwas main room hai. Aap hume puri information dijiye jaise ki aap log kitne log aa rahe hai aur kitne bache aur adult hai. Aur check in aur check out ki tarik bhi. Taki main apki puri madat kar shanku. how to apply for rooms booking in dwarawati bhakti niwas. and when rooms are available.please inform me on my email. You can book Dwarawati Bhaktiniwas Online Room Booking from the shirdi sai sansthan official website. There you can book for any specific date or types of rooms, number of rooms and various payment modes like debit card, net banking and credit card. Can you please tell me the date you are looking to book rooms in dwarawati bhakti niwas. Mujhe 4/8/18,6/8/2018 tak room chahiye, kya mujhe dwrawati me turant room mil jayega, 5 adult and 2 children hai, aur kya mobile se bhi book kar sakte hai sir ji, kripiya apna online room book website bataiye. हमे 30 और 31 अक्टूबर 2018 को द्वारावती मे रुम चाहिये एक पुरुष महिला और 2 बच्चे। क्या संभव हो पाएगा? Yes aap 30 aur 31 tarikh ko room book kar sakte hain. Iss tarikh ko dono AC aur Non AC rooms available hai. Satyendra Ji apko Shirdi Saibaba Sansthan Trust ke official website se room booking karni padegi. Dear Krishan, we apologised for late revert on it. We sincerely hope you were able to resolve your queries directly with Shirdi Sansthan. In future, please call their support centre to resolve it quickly. Hi I’m Yugmeswari from Malaysia. I have already registered in website but unable to activate my email due to i didn’t get the OTP num at Malaysia handphone number. I would like to book room and arthi. It is compulsory to register and book any services of Shirdi Sai Sansthan Online. You have to try again or have to call the Sgirdi Sai Sansthan Helpline Number. We are 8 persons from Kolkata to go to Shridi for darshan and short visit of the site . We are reaching there at 8 PM on 18.04.19.We will return on 20.04.19. We require 3 rooms over there for 2 days. Please suggest me for booking of the same for the purpose.